As search engines continue to focus more and more on personalization, their services also become more geographically localized. Therefore, in addition to ranking for globally important keywords, it’s also important to have an appropriate local search marketing strategy that targets local searches. This is particularly true if your business has a physical location that caters to a specific geographic location (e.g., real estate agents, restaurants, etc.) because you need to be competitive for local search queries that target your business segment. 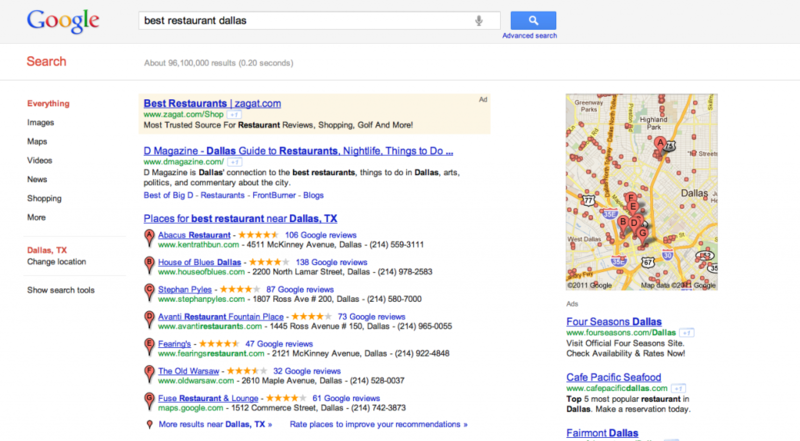 The above screenshot demonstrates the dominance of Google Places results for a local search. 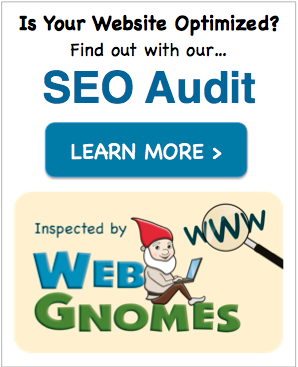 In the past, it was sufficient to focus solely on global search traffic. However, due to the rise in mobile computing and the accompanying emphasis on personalized and geographically sensitive search results, local search marketing should play an important role in your overall search engine marketing strategy. If your business has a physical location, it is imperative that you pay attention to local search marketing best practices. As you can see in the screenshot above, many local searches on Google return Google Places results (called the “7 pack”) at the top of the page. Your chances of getting noticed are much greater if your business shows up in that 7 pack. The good news is that there are strategies available for increasing your chances of showing up in that first set of results. There are literally hundreds of factors that determine your company’s position in local search rankings. We stay abreast of these factors and continuously update our local search marketing approach to match the latest trends. As our customer, you will be able to take advantage of this invaluable knowledge. Why wait to start climbing the local search rankings? Request a consultation today!